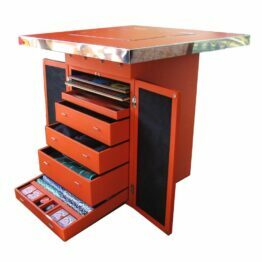 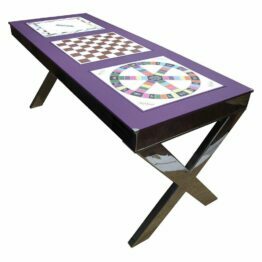 Our contemporary Roulette table with double “X” stainless steel legs; the perfect addition to ones games room or casino night. 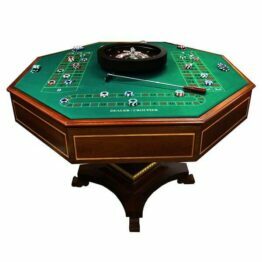 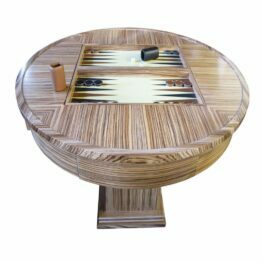 Designed by and named after our 2nd generation Chairman; the Maxx table is a modern take on the traditional roulette table. 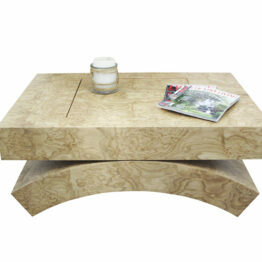 Created with a moc crock top and shiny base this table wouldn’t look out of place in a modern home or flat. 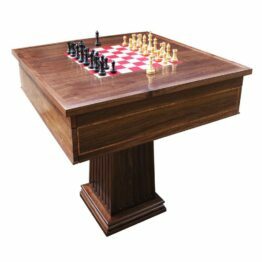 We have one of these tables in stock. 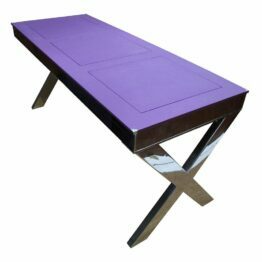 Alternatively, this table can be re-designed to your preferences including interior and exterior colours. 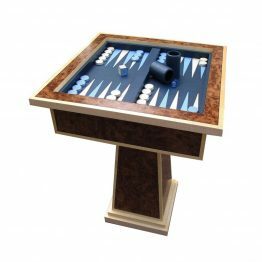 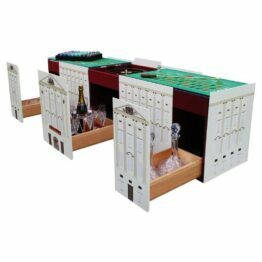 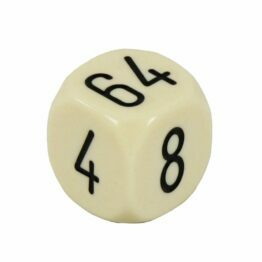 Although this is a product which we have in stock, due to the size it’s not available on next day delivery; however, we will dispatch and arrange delivery with our couriers as soon as possible. 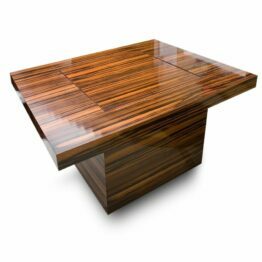 This product has been discounted due to minor marks on the metal work. 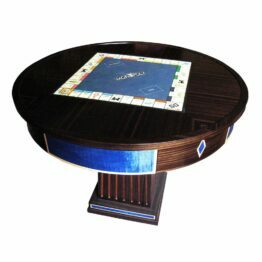 Other than this, the game table is perfect.